Do you have any books that your children have loved but outgrown? Or are you soon to move elsewhere and happy to donate your children’s books to a very good cause? 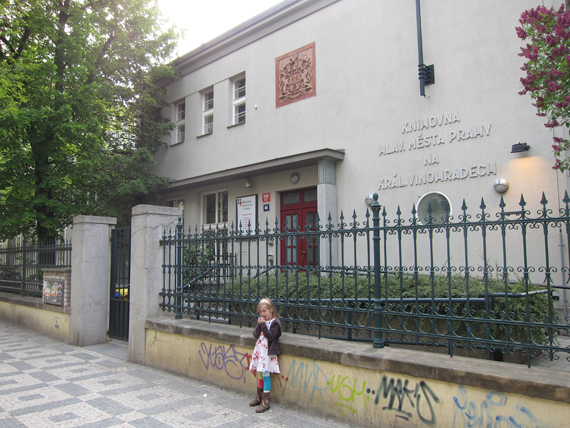 The Vinohrady branch of Prague City LIbrary in association with Class Acts are asking for donations of Children’s books in English, in order to establish a new collection for teachers and parents to borrow and share with kids. Please help this worthy cause if you can! The goal is to raise 500 English chldren’s books by June 18th, the day of the 2011 Class Acts Bilingual Picnic Party in Kampa Park. This is one part of Storybridge, an exciting new project funded by the U.S. Embassy and developed in partnership with Brno’s Masaryk University to teach creative storytelling techniques to parents and to English language teachers in Czech schools. WHAT BOOKS ARE SUITABLE FOR THE LIBRARY? They must be children’s books in English. The library can accept both hardbacks and paperbacks in good condition. They cannot accept books that are damaged, worn out, ragged, with one or more pages missing or ones that are ripped, scribbled on or with stains (including water stains). If a book looks quite new and the only damage is that some pages are partly or completely detached from the cover (which happens with some paperbacks after just one reading) or several pages are loose (but not lost), these are acceptable because they can be repaired by the library. Please do not repair the books yourself – it is much better to give a book with a loose page or even in two parts than to tape it together, as the bookbinder in the library can repair the books properly. Staff in both venues are fully briefed on the project and look forward to receiving your donated books. Share your wonderful stories with other children and in turn you too can also take advantage of this library’s new English language collection by joining up and sharing the library experience with your own kids. 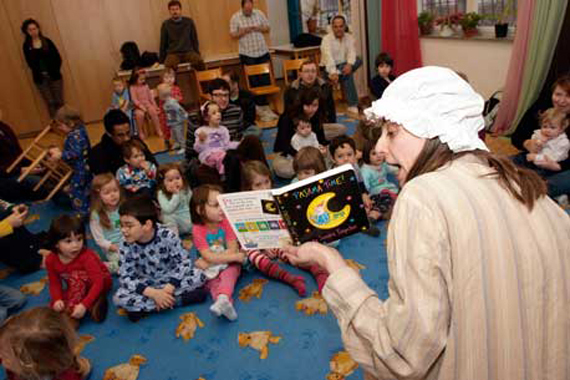 Also, if you live close by and your child understands some Czech then you may be interested to know that the library has storytelling every Thursday from 14.30 till 15.15 for free.